Do Dham Yatra is one of the popular holy pilgrimage circuits in India. 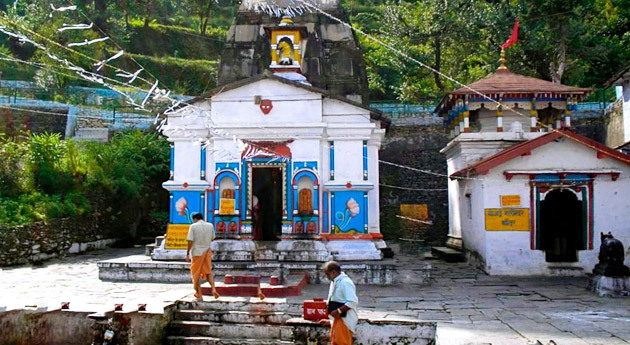 The holy shrines of Badrinath and Kedarnath in Uttarakhand are a part of the divine pilgrimage. India pilgrim Tours offers a well-planned 8-day journey. The Do Dham Yatra package starts from Delhi divine Ganga aarti in Haridwar, visit at temples in Rishikesh, Guptkashi and Rudraprayag. The blissful Badrinath and Kedarnath tour package also includes the beauty of the scenic roads of Uttarakhand, picturesque rivers as well as the villages. Peruse the detailed itinerary for complete information for the spiritual journey to the two holy dhams. After arriving in Delhi, you meet an IPT representative who helps with an assisted transfer to Haridwar, by road. On the way, get Biometric test done before you start the Yatra. Upon reaching Haridwar, check-in at the hotel. 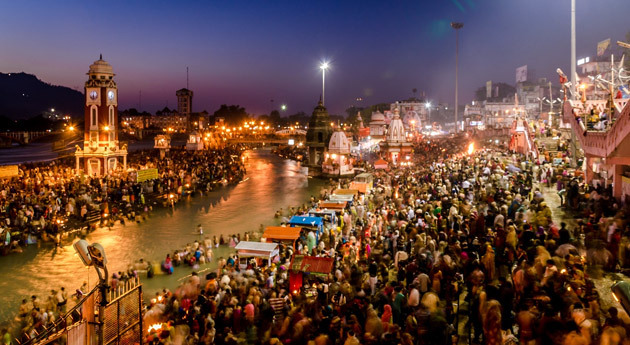 The evening is scheduled for evening Ganga Aarti at Har-ki-Paudi, on the banks of River Ganga. This is a sight to behold. Start your day early. Have your breakfast and complete the check-out formalities at the hotel. Hit the road to Guptkashi. After arriving, check-in at the hotel and get your medical check-up done before starting the trek. Dinner and overnight in Guptkashi. After an early morning breakfast, complete the check- out formalities and begin driving for Sonprayag, the base from where your 20 km trek to Kedarnath starts. You have option of hiring a palanquin (palki) or go for horse riding to complete the trek (Cost Excluded). River Mandakini is one of the prime tributaries of the holy Ganges, originating from Kedarnath and flowing through Gaurikund. The loud chants of ‘Jai Bholenath’ can be heard all around. On reaching Kedarnath, check into the Govt. Camps/Lodges. Today, leave your beds early in the morning, preferably before dawn. Take bath and visit the Kedarnath temple to attend the ‘Abhishek’ at 04:45 am. Enter the Garbha Griha to bow down in front of the idol and seek the blessings of the Lord. After darshan and puja, back to the Govt. Camps / Lodges. Later on, start the 20 km trek back to Sonaprayag from Kedarnath. Vehicles are waiting for you at the Sonprayag Car Parking. Back to the hotel. Dinner and Overnight at Guptkashi. On day 5, have your breakfast and complete the check-out formalities. Hit the road to Badrinath via Joshimath. After arriving in Badrinath, check-in at the hotel and relax for some time. Enjoy refreshments. 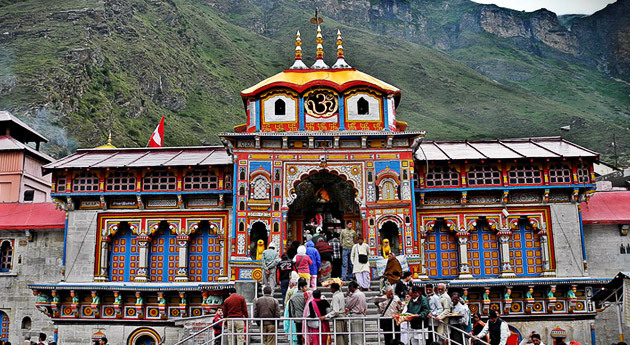 The holy town of Badrinath is an important destination of Char Dham Yatra of Uttarakhand. It is dedicated to Lord Vishnu. In the evening, darshan at Badrinath temple. En- route halt at Tapt Kund or Hot Spring for taking bath. Continue to towards the Badrinath temple, dedicated to Lord Vishnu. This temple is one of the 108 Divya Desams of Lord Vishnu and a sacred site for the Vaishnavites. On the 6th day, in the morning visit Badrinath temple. After darshan, back to the hotel for having breakfast. Thereafter, leave the hotel for sightseeing. Visit Mana Village- inhabited by Indo-Mangolian tribe, it is the last village on the Indo-Tibetan border, Vyas Gufa-the ancient cave where sage Vyas stayed while writing the four Vedas, Ganesh Gufa- the cave where Lord Ganesha composed Mahabharata, the Hindu epic, and Mata Murti temple- placed on the banks of River Alaknanda, it is dedicated to Mata Murti, mother of Nara and Narayana. After sightseeing, hit the roads to arrive at Rudraprayag. En- route halt at Karnaprayag, the confluence of River Pindar and River Alaknanda, it is one of the Panch Prayags of River Alaknanda. 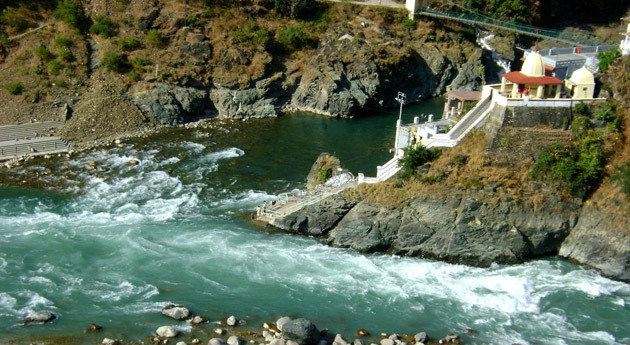 Continue to the holy town of Rudraprauag, the confluence or Rivers Alaknanda and River Mandakini. On reaching, check-in at the hotel. Post an early morning breakfast, begin driving to the spiritual city of Rishikesh. Placed on the foothills of Himalayas, it is renowned as the 'Yoga City of the World'. After reaching Rishikesh, visit Ram Jhula and Laxman Jhula, two popular attractions of Rishikesh. These are iron suspension bridges with mythological connection. In the evening, arrive in Haridwar and check-into the hotel. On the 8th day, post breakfast at the hotel, begin driving back to Delhi. On arrival, get an assisted transfer to the railway station/Airport for your onward journey.